The Row - The Row's cream leather Double Circle bag is both spacious and sophisticated for versatile styling. 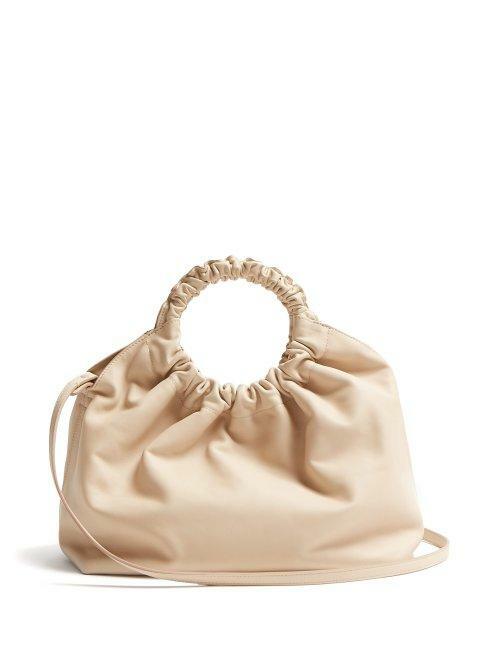 It's shaped to a slouchy silhouette and features ruched top handles, then suspends from a slender detachable shoulder strap for cross-body styling possibilities. Carry it as part of a pared-back edit with neutral-toned separates.